Fasig-Tipton has added three new supplemental entries to its upcoming November Sale, to be held on Sunday, Nov. 4 at the company's Newtown Paddocks in Lexington, Ky. Win the War (Hip 248): Three-year-old daughter of top international sire War Front is a multiple stakes winner and graded stakes placed performer. 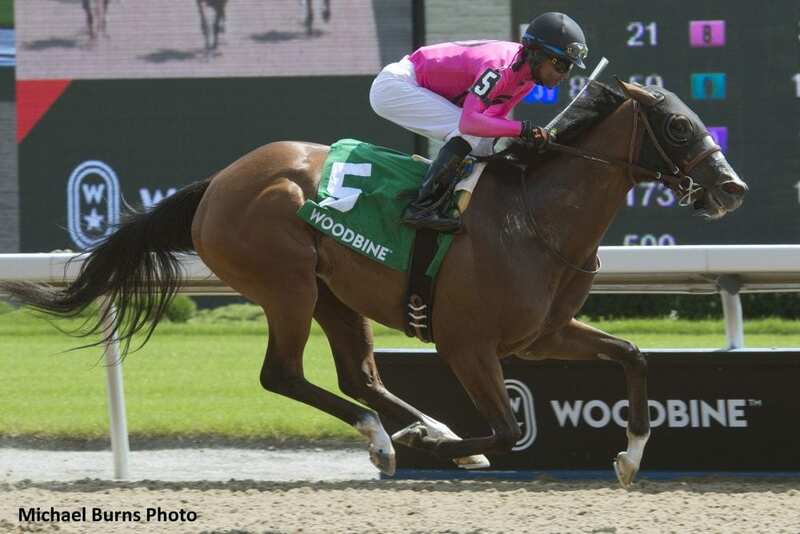 A $700,000 yearling purchase at the Fasig-Tipton Saratoga Sale, she captured her first two starts at two, which included an 11-length romp in the Glorious Song Stakes at Woodbine – recording the highest Beyer speed figure of any juvenile filly in 2017. At three, she placed in the Grade 2 Santa Ynez Stakes at Santa Anita, and then returned to Woodbine to capture the Duchess Stakes this summer. From the immediate family of Champion Dehere, she is a half-sister to graded stakes winner Dixie City, and to the dam of graded stakes winner Unified. She will be offered as racing/broodmare prospect by Bluewater Sales, agent. Spanish Harlem (Hip 249): Versatile 4-year-old daughter of champion sire More Than Ready is a stakes winner on dirt, and stakes placed on turf. Her dam, Spanish Silks, is a half-sister to two stakes winners, including G1 winner Buddha. Her prolific stakes producing family includes current runners Late Night Pow Wow, winner of this year's G3 Charles Town Oaks, as well as Bizwhacks, recently third in the Del Mar Juvenile Fillies Turf. A $370,000 yearling purchase, she will be consigned as a racing/broodmare prospect by South Point Sales Agency, agent. Foreign Affair (Hip 250): Winning 4-year-old daughter of Exchange Rate has an internationally diverse pedigree. She is a half-sister to two stakes performers abroad, including So Perfect, one of Europe's current leading 2-year-old fillies. So Perfect captured the G3 Grangecon Stud Balanchine Stakes at the Curragh in July, and then subsequently notched G1 placings in the Phoenix Stakes (against males) and the Cheveley Park S. Foreign Affair's dam, Hopeoverexperience, is a half-sister to G2 Illinois Derby winner Cowtown Cat. Foreign Affair will be consigned as a broodmare prospect by Vinery Sales, agent. These entries may now be viewed online and will also be available in the equineline sales catalogue app. Print versions of all supplemental entries will be available on the Fasig-Tipton grounds at sale time. Fasig-Tipton will continue to accept approved November Sale entries through the Breeders' Cup. This entry was posted in Bloodstock and tagged Bluewater Sales, exchange rate, fasig-tipton, fasig-tipton november sale, Foreign Affair, horse auctions, More Than Ready, South Point Sales Agency, spanish harlem, vinery sales, war front, win the war by Edited Press Release. Bookmark the permalink.